WEST HILLS, Calif., January 14, 2016 (BUSINESS WIRE)–Source Photonics is pleased to announce the shipment of its 10,000th single mode 100G QSFP28 module. 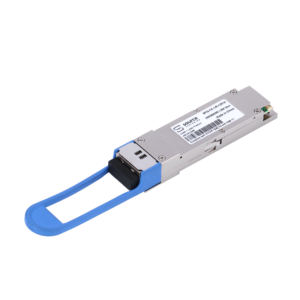 Source Photonics began production shipments of 10km QSFP28 LR4 and 2km QSFP28 LR4-Lite modules in Q1 2015 after a successful introduction and sampling program with several leading customer-partners throughout 2014. Major applications for this first-to-market technology include cloud scale and Web 2.0 data centers worldwide and represent the first single mode 100G modules deployed in data centers, signifying the beginning of the transition from a 10G/40G data center architecture to a 25G/100G architecture. Due to high demand, Source Photonics expects to leverage a vertically integrated operations infrastructure to meet the needs of customers as QSFP28 moves deeper into the data center fabric. Source will also exhibit its full portfolio of 100G products and demonstrate next generation technologies from its broadening portfolio of higher speed products at OFC in Anaheim Convention Center, booth number 2709, from March 22-24, 2016. For further information or to schedule an informational session, please visit our website at www.sourcephotonics.com. Source Photonics is a leading global provider of innovative and reliable technology that enables communications and data connectivity, in next-generation mobile and fixed-line access networks, in metro networks, and in data centers. We invent next-generation solutions to provide data centers with low power, high data rate technology to meet the demands of the rapidly growing cloud data industry. Source Photonics is headquartered in West Hills, California, USA with manufacturing facilities, R&D, and Sales offices worldwide.